These new Plyo Soft Boxes have variable heights which are perfect for power development and performance. They can be used as a set of 3 or individually. 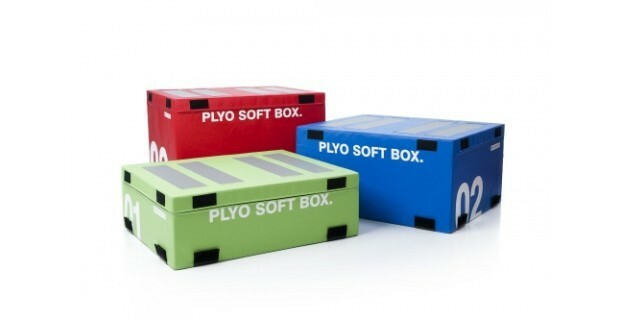 These durable and impact absorbing plyo soft boxes can be used together or individually and are specifically designed to prevent users from injury by urethane anti-slip landing strips on top of each box. With a cross linked foam core the boxes have strong Velcro fixing straps, which means you can perform jump exercises without the worry of the boxes separating and causing injury. These bright and colourful boxes will not breakdown or soften overtime and will provide a unique addition to your gym or PT area. Cross linked foam core, covered in Btek European made vinyl.